Scroll down for a Short Poem In Spanish, with line-by-line translation. 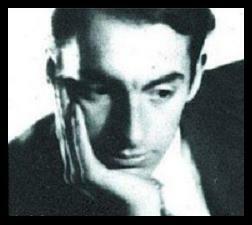 Shown above: Pablo Neruda as a young man. Without, the peacock's regal plumage gleams. Where she pursues the phantoms of her dreams. Here's another short poem in Spanish by Pablo Neruda. Can you translate this one? Era el crepúsculo de la iguana. del mundo lleno de rocio.